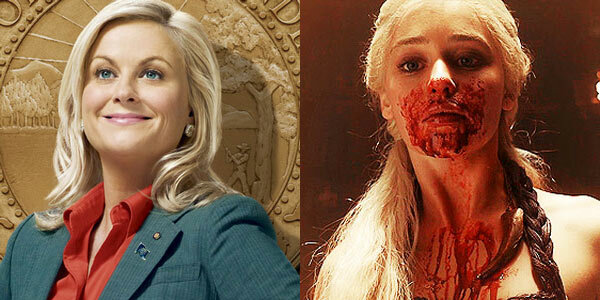 Anyone who's ever been a fan of two very different TV shows has inevitably started fantasizing about crossovers. I've been dying to see what Boardwalk Empire's Nucky Thompson would make going head to head with 30 Rock's Jack Donaghy, or how Bunk and McNulty of The Wire would hunt down Breaking Bad's Walter White. But you know what's even more fun than thinking up fantasy crossovers? Watching Amy frickin' Poehler think up fantasy crossovers. In an interview with Time Out New York, Poehler got to talking about the quality of her Parks & Recreation cast and went with the interview's prompt to drop her cast into Game of Thrones. Poehler, who has obviously thought this through, immediately played along. Here's her explanations, along with our illustrations and commentary. "Well, come on, I would be Khaleesi [Daenerys Targaryen], of course." Yes, absolutely. No one can dispute this. "Ben would probably be Jon Snow, because he’s so tormented." Yup. 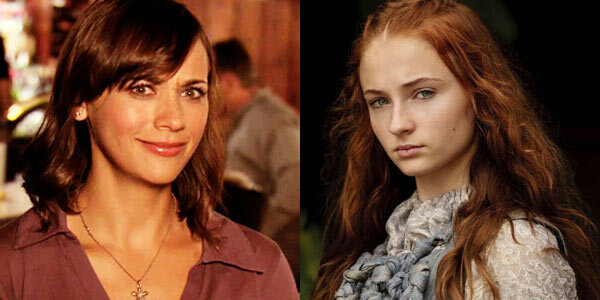 Brooding, soulful brown eyes, tendency to fall for super powerful women (though Leslie is way cooler than Ygritte). "Ron would be Stannis Baratheon." Yeah, sure-- stern, no-nonsense. But what about Ned Stark-- also stern and no-nonsense, but fiercely independent, firm-but-fair, and willing to cut off a man's head for the sake of his honor. Make your pick. 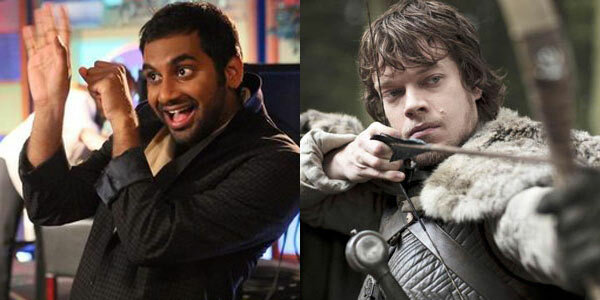 "I hate to break it to Aziz [Ansari], but Tom would be, like, Theon Greyjoy, which is not good right now." Yeah, OK. Theon tries to be useful, fails, gets himself in trouble, you feel sorry for him. Theon could use an idea as good as Rent-A-Swag these days.
" Ann would be Sansa." That works-- beautiful, optimistic, hoping to find true love but never quite finding it. 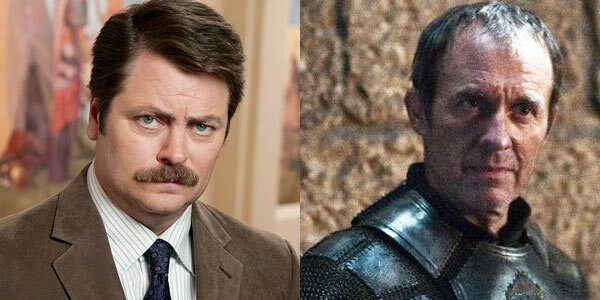 Chris Traeger is no Tyrion Lannister, though, let's be clear. "April would be Arya." Yes, 100%. 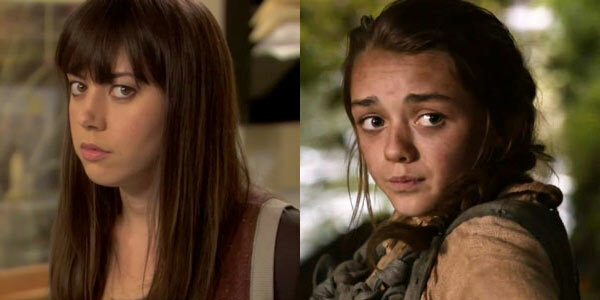 I guarantee you that April Ludgate also wishes she was Arya Stark, complete with direwolf and sword. 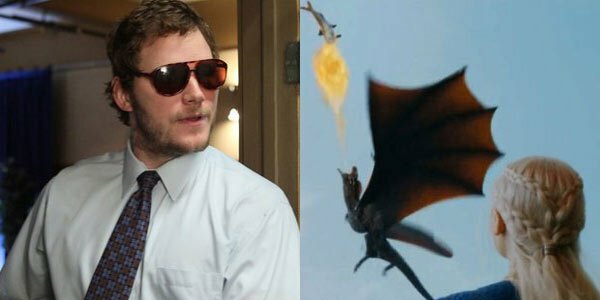 "And Andy would be one of the dragons. [Laughs]." Eh, OK. Andy doesn't know his own strength and would probably do anything to protect Leslie (the Khaleesi) but the dragons don't really have personalities. 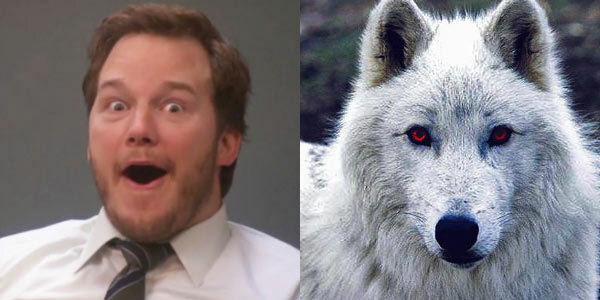 What about the cuddly but ferocious and loyal Ghost the Direwolf? That's when Poehler leaves off with her speculation, which of course is only the beginning of the characters you could mash together. We've got a few more suggestions, because of course we do. 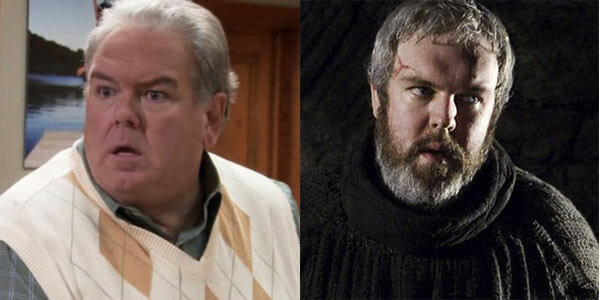 Jerry is Hodor. Kind of dumb and annoying, but always there for you when you need him. 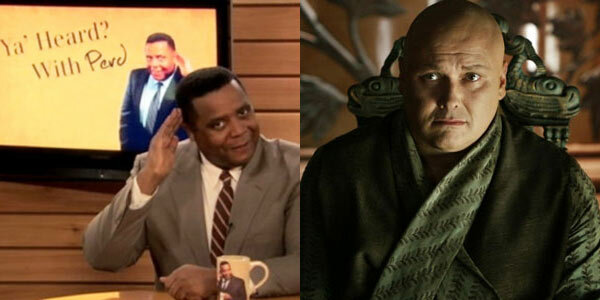 Perd Harpley is Varys. If "ya heard" it, then Varys definitely already heard it too. 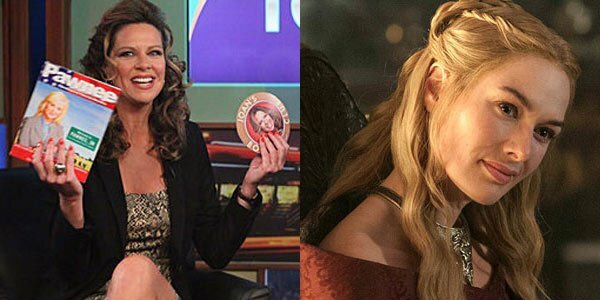 Joan Calamezzo is Cersei. Terrifying and powerful, and sexually aggressive. 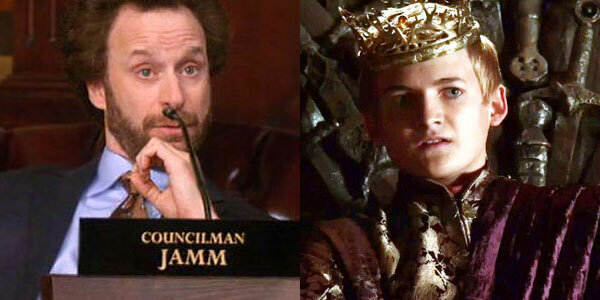 And Councilman Jamm is Joffrey. OBVIOUSLY. 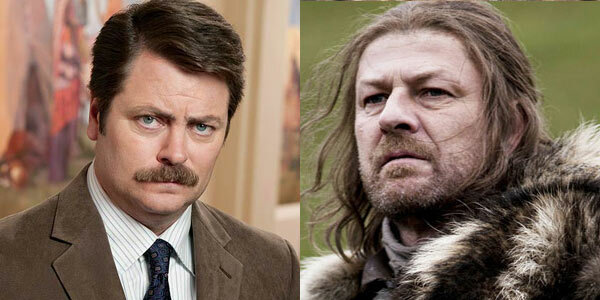 Clearly this is only the beginning of the Parks & Recreation/Game of Thrones mashups-- I'm particularly annoyed that I couldn't find the right role for Donna (Catelyn Stark seemed too straight-laced for her) or Chris Traeger, who combines Bran's superpowers with Jorah Mormont's infinite guidance, but isn't really either of them. 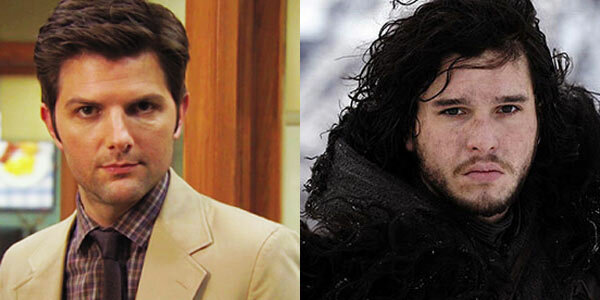 And I'm dying to find the right comparison for Jean-Ralphio-- maybe he's a dragon? Please share your thoughts in the comments. This is of critical importance.